• My dad , James MacDonald Jr. (I think they called him “Mac”) was a Inflight Refueling Operator with the 420th at Sculthorpe appx. 60-64 and flew the last KB-50s to Davis-Monthan (boneyard) from Sculthorpe. He lived on base and in Hunstanton on Park Road. He played guitar and had a gospel singing group that played in missions and coffee houses. I remember some of his mates there named Neil, a black man named Ralph, and a tall guy named Ben. My folks adopted me (I was a Brit) when they were there. He finished up his USAF career at Pease AFB and Wright-Patterson, OH. He is still going strong and still plays guitar. I just finished almost 30 years with USAF myself. His wife was/is Gail and I am James G. MacDonald III. Also, my real father was stationed there and his name was Robert “Red” Walden. Does anyone remember my dad’s? • I was assigned to the 622nd AREFS from 1962 until March 1964 as Crew Chief on KB-50J 48-078A assigned to England AFB, LA. Good to see this website. • I flew with the 429th from 57-59. I have a new e-mail address (taftld@gmail.com) but I'm still living in Franklin, TN. If anyone from my time with the 429th is still around, I enjoy rehashing old war stories. Was a career man and flew lots of planes during the Korean and Vietnam era. • My father was a crew chief on a KB50J sometime during the years 1957-1961. His name was James L. McCubbins. I would like to know if there is anyone with information about him. • I just found this site. My Father Dale Erickson, MAJ USAF (Ret) was in the 420th. 59(?)-62. Just wanted to say Hi and its great to see photos of the 420th Sqdn. aircraft. Gordon was a Reel operator. the pilot was Capt. Edward J. Petroski. • I am trying to contact Pilot Dean A. Neumann who was assigned to KB-50s at Langley in the summer of 1962. I graduated with Al from pilot training class 62-F in March 1962. Our class is attempting to locate all of the original members and we have lost contact with Al. • Thanks for any assistance of ideas you have. • Hi guys, I just dropped in to see some pic's of the people & airplanes I knew & spent many hrs. working on. Sad to see that they are all gone now.. Nate Hill, George Graves,(who sold me my 1st.car, '47 Buick) & also a lot of beautiful R-4360 powered Birds. Thank You for the memories..
• My Dad, Glenn Gittings Sr. was a Flight Engineer with the 421st Air Refueling Squadron when we were PCS at Yokota AB Japan from 1962 to 1965. Many good memories from those years in Japan. Dad is still a FE and has been flying with God since 2004. He passed away in Bradenton, FL. • My father was John Brick. His tanker was lost over St. Vith Belgium August 13th, 1958. Does anybody remember him? • Remembering my youth and a number of friends I met in the 421st !!! • I will never forget Tuesday night October 18, 1960. A KB-50K took off from Langley AFB engines full throttle to the point it got me and my fathers attention. We also saw what appeared to be a engine on fire.The plane exploded within a minute. The explosion was so intense it shook our home and knocked pictures from our wall. Fire and debris like I have never seen before or since fell on a marshy area known as Plum Tree Island in Poquoson, Va. and burned for hours. All 7 crewmen lost their lives. Being a witness to this still haunts me today. I have found very little news coverage and cannot find anything on who the crew was etc. I would like to see a small memorial to this crew placed on Plum Tree Island. If anyone has any information on this plane or crew etc. I would appreciate an email. Just one other thing, as far as I am concerned anyone who served on these dangerous planes is a hero in my book. • Was assigned to the 429th in 1958 as aircraft mechanic. Transferred to Panama in 1963. • My father-in-law (95 yrs old) carries a pic of him sitting in the cockpit of an B-29 (prob Slicker 25, SN 44-83897) on Saipan toward the end of the war. Probably when the POW drops were happening. (He was an B-29 armorer on Saipan throughout WWII.) I see that A/C was converted to a KB-29P, but can't find anything more. Do your members know where it was/is? • On January 8, 1962, a KB-50 went missing between the US East coast and the Azores after taking off from Langley AFB. The Pilot was Major Robert Tawney and co-pilot Lt Zoltan Szaloki. Questions: what were the rest of the crew names? What Squadron was the KB-50 assigned to? What was the Aircraft serial Number? • Looking at all the old photos...wish I could see Dad(Kent) in a few of them. 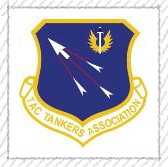 • Thinking of my Dad during this anniversary of his passing...he had such a great time with the Tac Tankers Association. Thank you for being his second family. I miss him so much. • I would appreciate any information on Byron H Crotwell. Did you know Byron? KIA, VN, 1966. • I was wondering if anyone knew my grandfather. His name is Kenneth Charles Bohn (K.C.) and he was a reel operator on the KB-50J from 1959 to 1965 at Biggs. • My father was in the 421st in 1960-61 at Yokota AB. He is getting older and not good at computers and to frail to travel to reunions. I would like to help him re-join the assoc. His name is Frederick Cook. Anyone out there that knows him, please email me. Thank you so much for this site. • Was with 429th Air Refueling Squadron in 1955 at Langley AFB VA.. Airplane Radio and Shop Repair. Was one of first to take the Bermuda trip. Whole crew was arrested by shore patrol for inadvertently going to an off limits bar.